A rumor spreads regarding the sudden disappearance of Nora, a high school classmate. It will be up to you to discover what is really going on. What will you choose? How will you behave when you find out that the guy you love is at the center of this mystery? 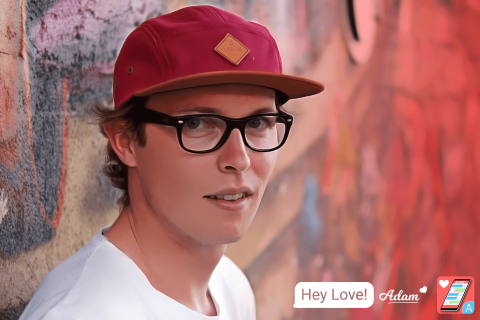 Talk with your friends and try to uncover the truth in this new “Hey Love!” texting game story. Solve the mystery and discover what happened to Nora. Live your own love story and help your two friends – Lila and Joshua – with theirs. There are several endings variations according to what you say. Make the right choices.